491001 Hamworthy Hamworthy STO-ST1A Super Trident Sewage Treatment Units. 491002 Hamworthy Hamworthy ST2A ? 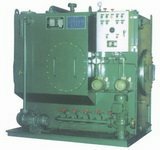 ST6A Super Trident Sewage Treatment Units (PCH 1544 ISSUE) - Instruction for Operation and Maintenance, Drawings & Spare Parts List. 491003 Warma Sewage Treatment Plant WARMA LK 30A - Instruction for Installation, Operation and Maintenance, Description & Spare Parts List. 491004 Taiko TAIKO Sewage treatment unit SBT-15 (25,40,65) - Instruction for Operation and Maintenance, Drawings & Spare Parts List. 491051 Vulkan VULKAN RATO-S Coupling - Instruction for Operation and Maintenance, Spare Parts List. 491052 Poly-Norm POLY-NORM Design AR, AVR, ADR, AZR, AVZR Torsionally Elastic Jaw Coupling - Operating & Assembly Instructions with Parts List. 491053 Rotex ROTEX Design ZS-DKM Torsionally Flexible Jaw Coupling - Mounting Instructions with Parts List. 491054 Victaulic Couplings General Catalogue. 491101 SKF SKF Engineer's E-Hand book. - Catalogue of bearings for ordering. 491102 Zollern BHW ZOLLERN BHW Plain Bearings Catalogue & Criteria of Judgement for main and connecting-rod plain bearings in medium-speed internal combustion engines in material combination steel/lead bronze/nickel dam/electroplated layer steel/aluminium alloy. 491251 Unitor Instruction Manual and Spare Parts CO2 High pressure fire extinguishing System (UNITOR). 491252 Kawasaki KAWASAKI (24R3355) Fixed high pressure CO2 fire ext. system - Instruction for Operation and Maintenance, Description, Drawings & Spare Parts List. 491253 Smit & Ovens LP Inert Gas PLANT Smit & Ovens GIn 2800-0,3 BUFD - Manuals with drawings & Spare Parts List. 491254 Smit & Ovens HP Inert Gas PLANT Smit & Owens GIn 100-6 BUCD - Manuals, Drawings & Spare Parts List. 491301 Grinding Machine KAN-4VS CH36 - Instruction book. 491451 Saacke Thermal oil system SAACKE PS 600 Kg/Hrs - Manual, Drawings & Spare Parts List. 491452 Saacke Thermal oil system SAACKE SB 180 kg/hrs - Manual, Drawings & Spare Parts List. 491501 Turbo Twin TurboTwin T50-Y Engine Air Starter Type T50-Y - Instruction for Operation and Maintenance, Drawings & Spare Parts List.